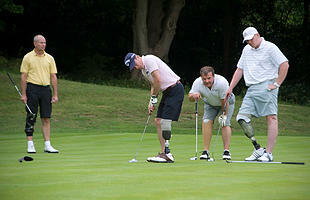 Bid to play golf with team GB Olympic Swimming Legend Mark Foster, at The Shire London. Rated London’s #1 golf experience, The Shire London is the only Seve Ballesteros designed course in the UK. The Ballesteros Masters Course has many unforgettable holes, often challenging you with a shot over water, and none more so than the 18th – where the course architect literally stamped his initial on our beautiful, serene part of England with an S-shaped lake, the ultimate challenge on one of the country’s most demanding closing holes.